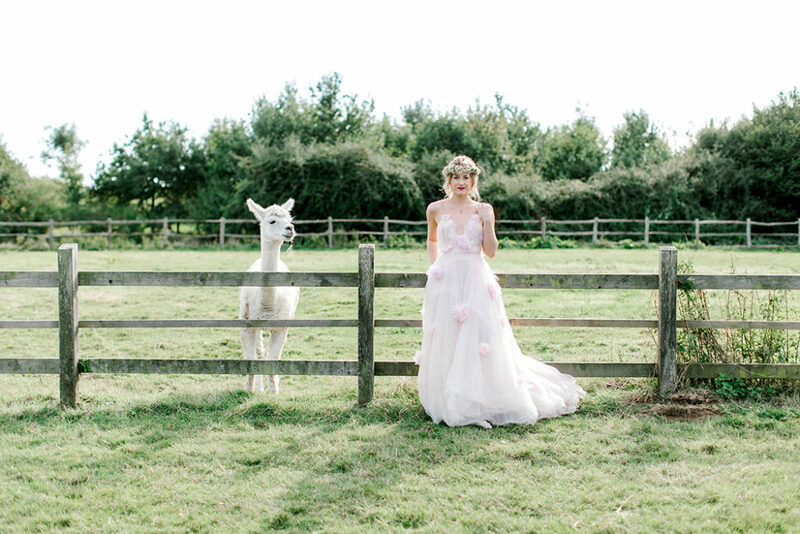 Images by Helen Cawte Photography. 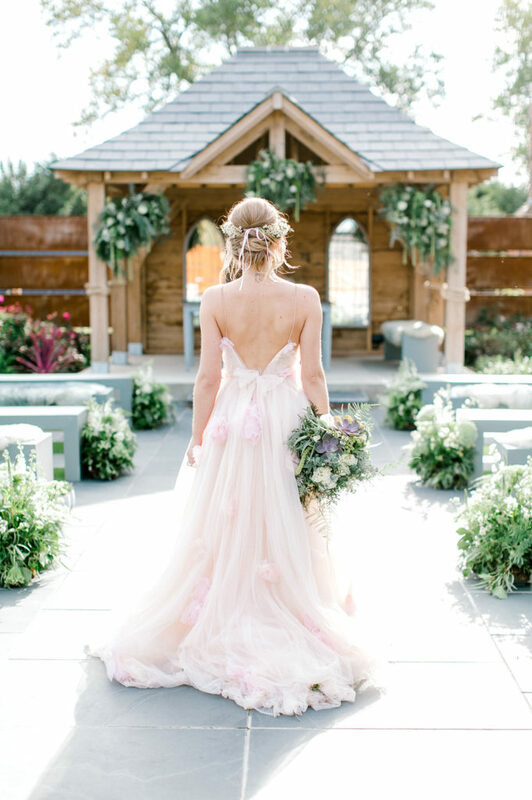 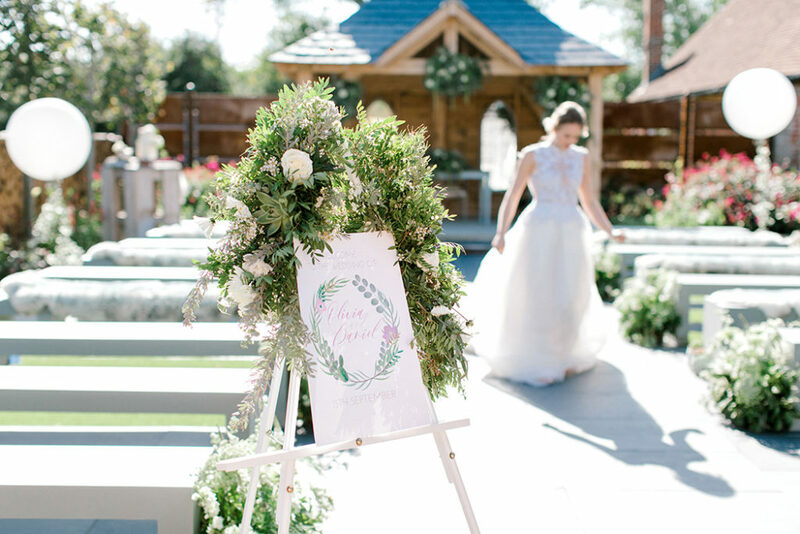 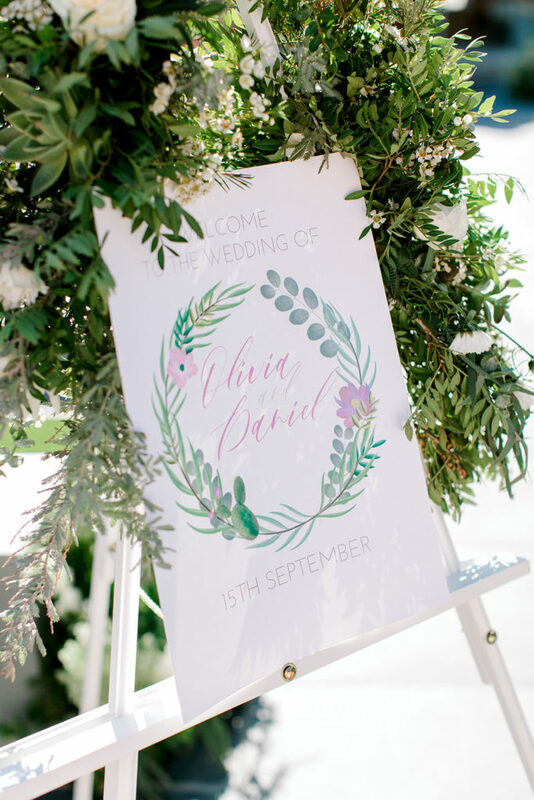 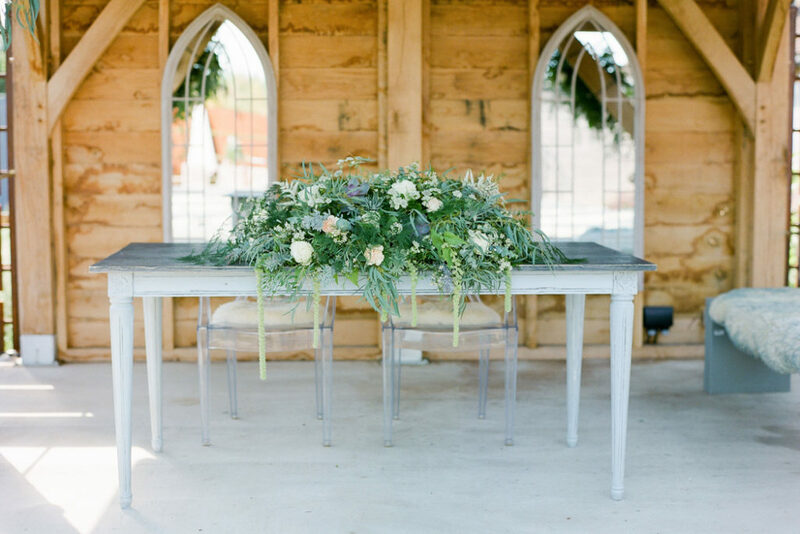 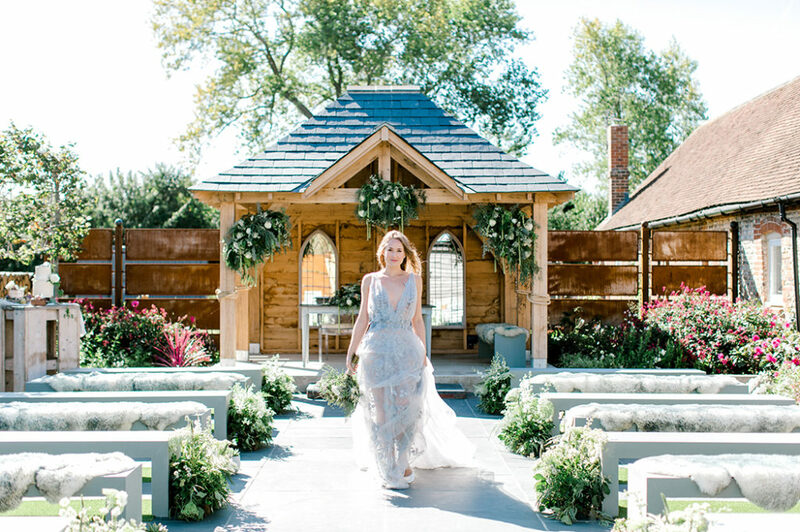 In celebration of the recent launch of their beautiful new outdoor ceremony area known as The Secret Garden, Southend Barns wedding venue in Chichester held a stunning styled photo shoot alongside a selection of fabulous local suppliers. 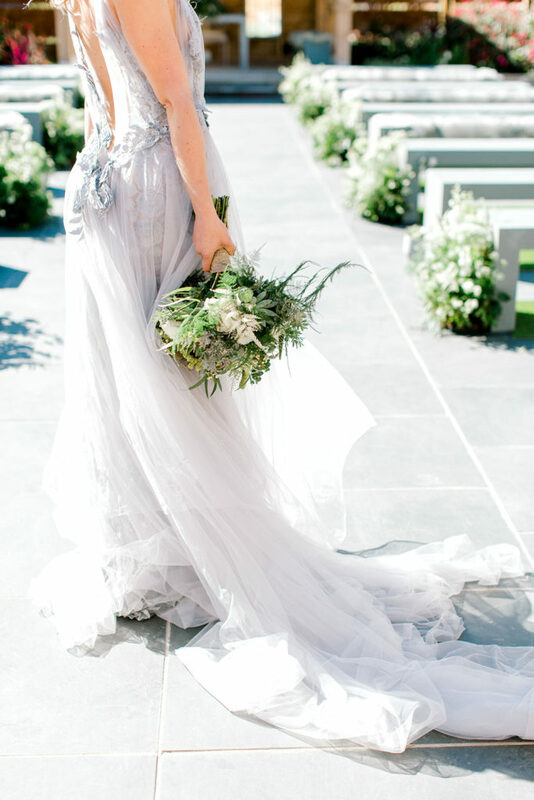 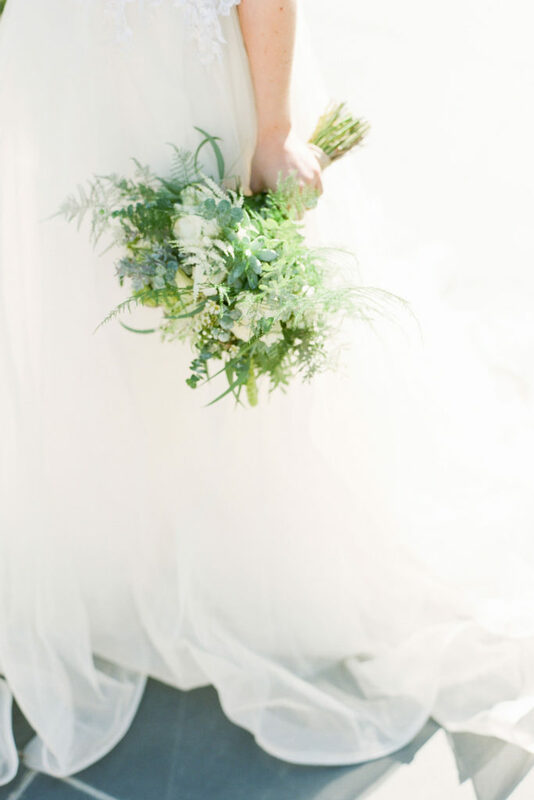 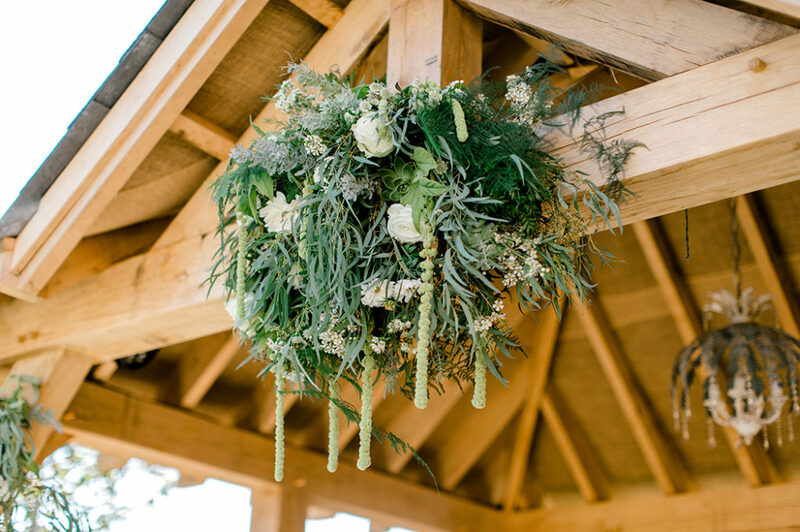 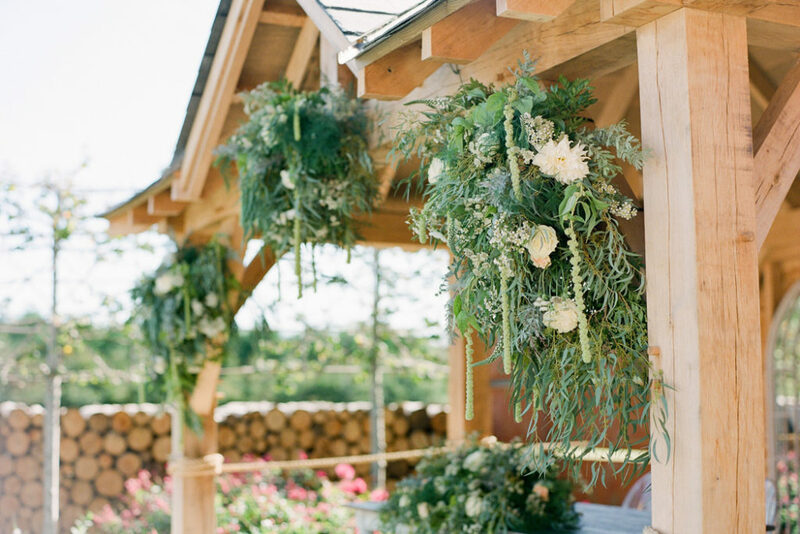 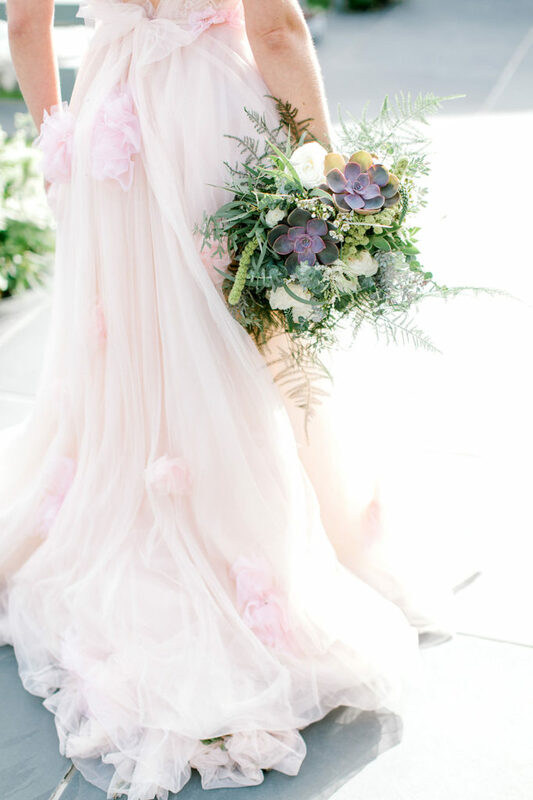 Embracing the simplicity and natural surroundings of The Secret Garden, Lucy from The Floral Artisan created floral arrangements using soft textures and tones with lots of delicate foliage and ferns to create an ethereal and romantic scene. 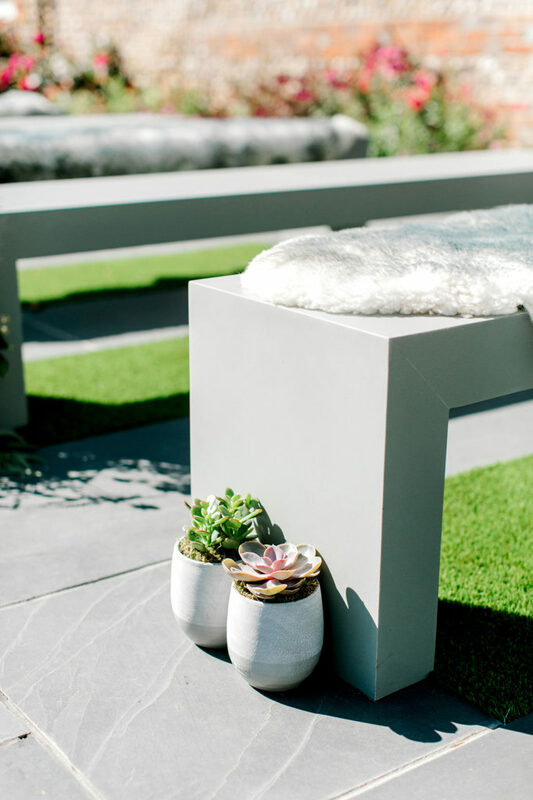 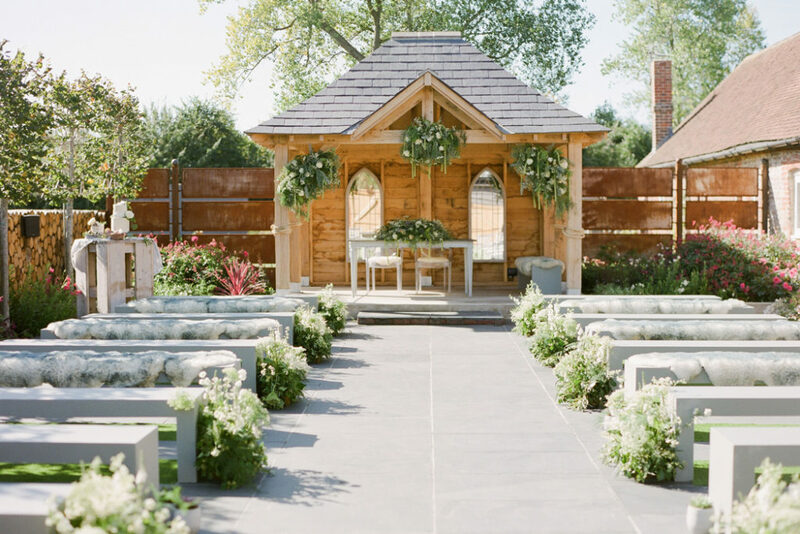 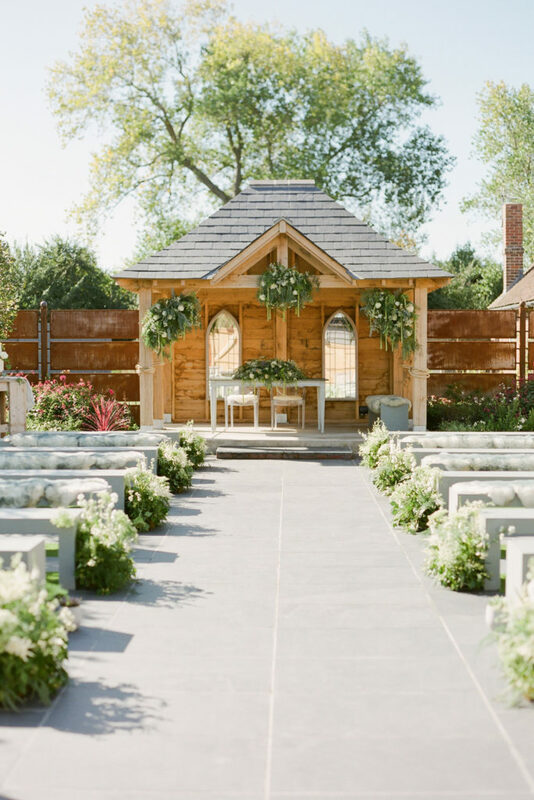 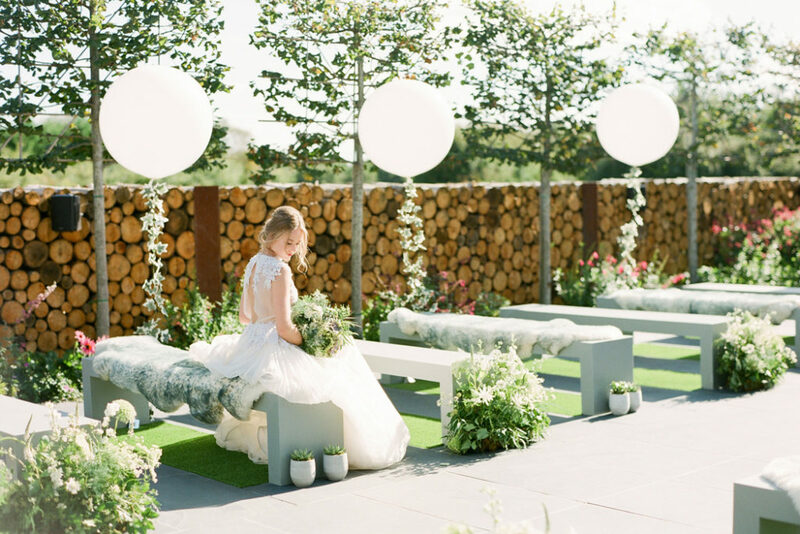 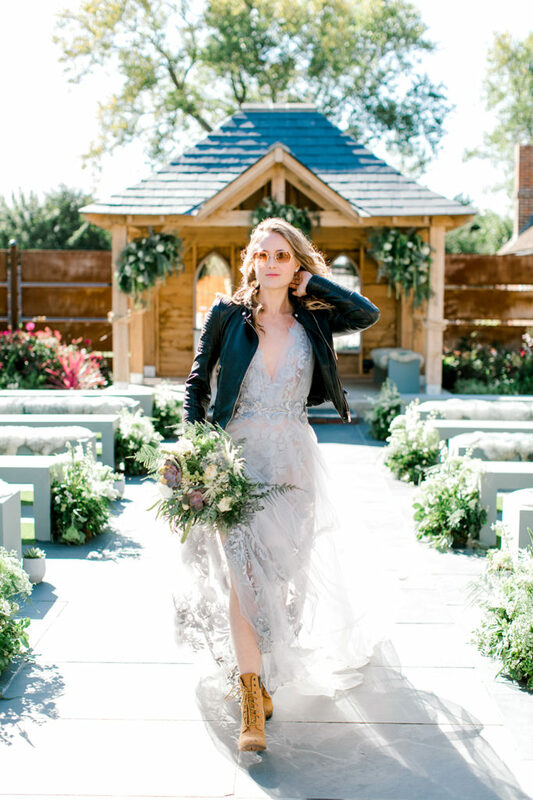 The 50ft aisle was transformed to look like a growing meadow while the pagoda was dressed with trailing foliage to complement the rustic wood, slate and grey stone of the space, providing a stunning focal point for the shoot. 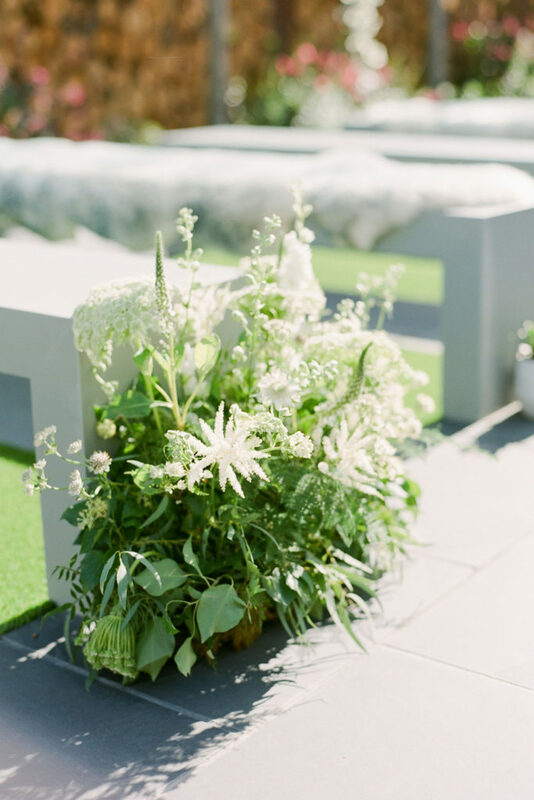 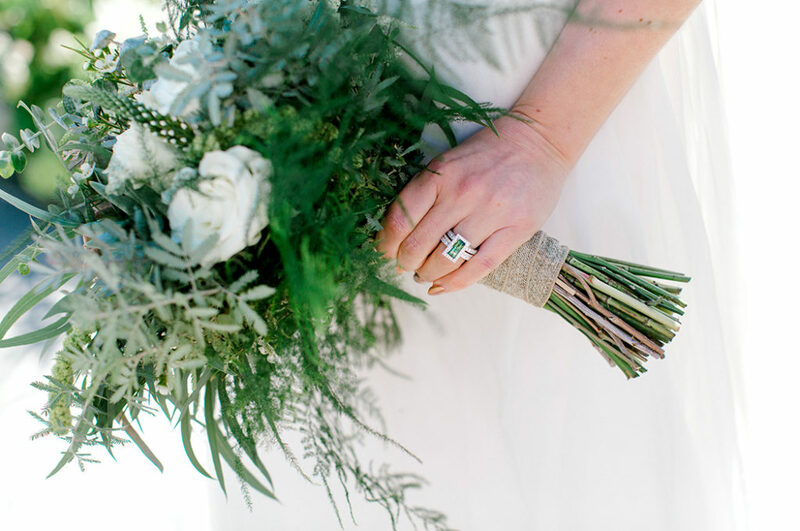 The styled shoot had a subtle succulent theme with pretty potted plants from The Little Botanical used throughout the ceremony area as well as in the beautiful bouquet and floral arrangements, making a perfect contrast to the soft, flowing florals and paper accents. 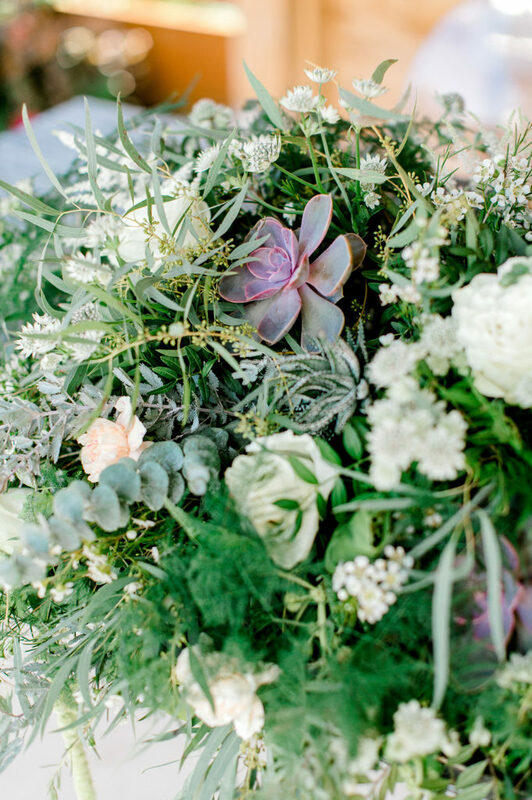 The muted mauves, greys and greens of the succulents formed the colour palette of the shoot, featuring on the bespoke wedding stationary handcrafted by Kirsten Burke Designs. 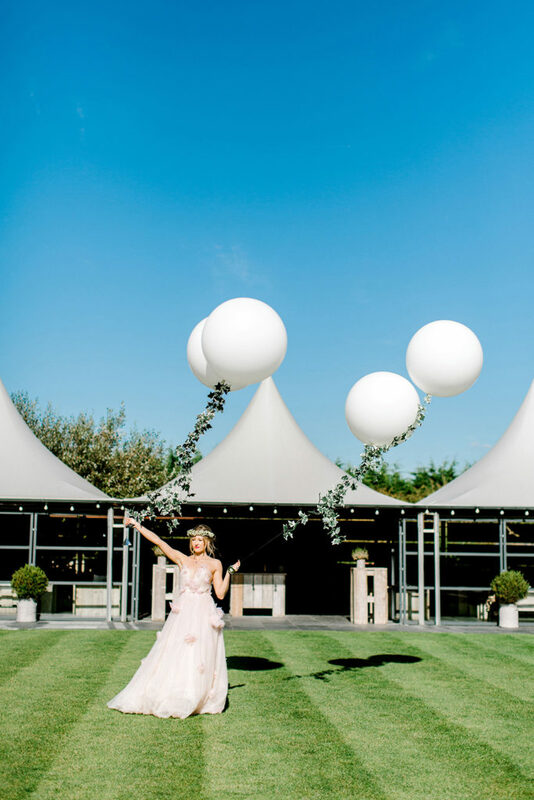 Bubblegum Balloons also added a playful touch with striking giant white balloons lining the aisle, each with trailing ivy tethering them in place. 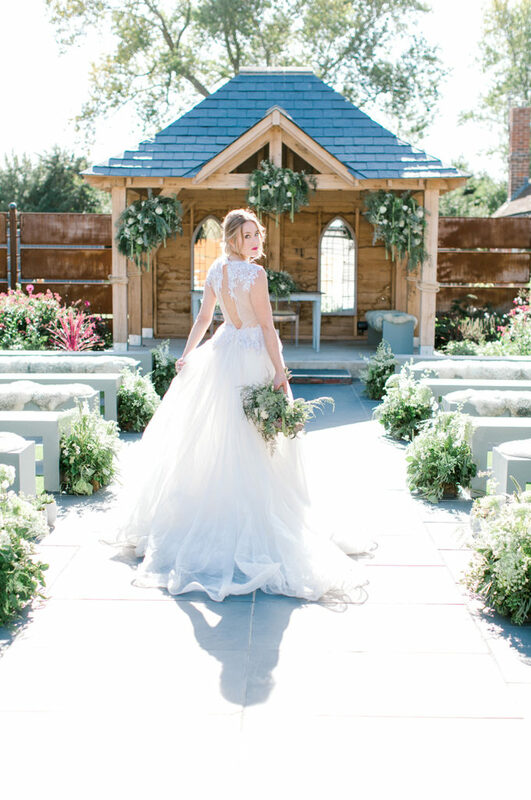 Model Amy wore a range of exquisite bespoke bridal gowns throughout the shoot by Sussex-based designer Ruth Milliam Couture. 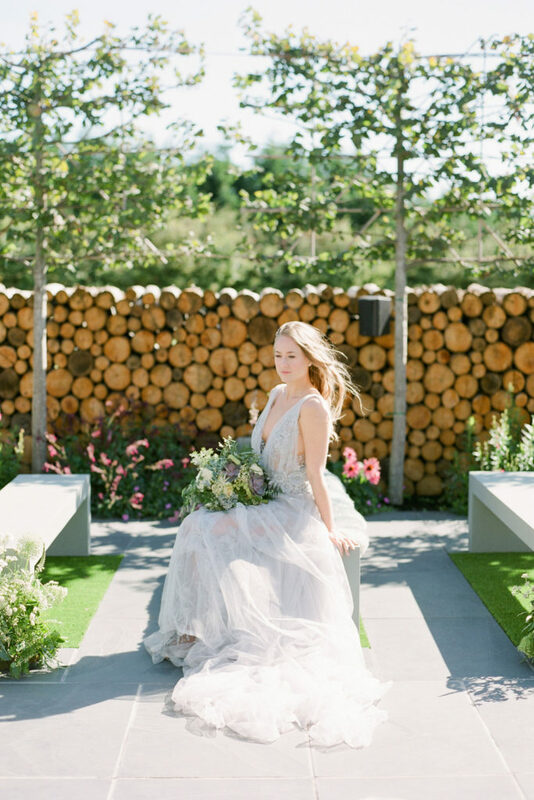 Swathes of chiffon and graphic lace in heavenly hues of grey, pink and white complemented the styling and the romantic but relaxed ambience of the Secret Garden. 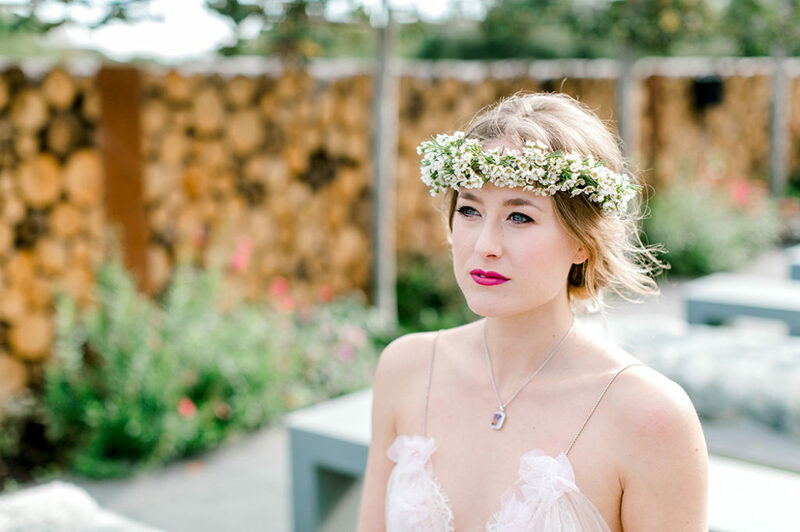 The bespoke gowns were teamed with stunning jewellery from bespoke jewellers W&W Jewellery. 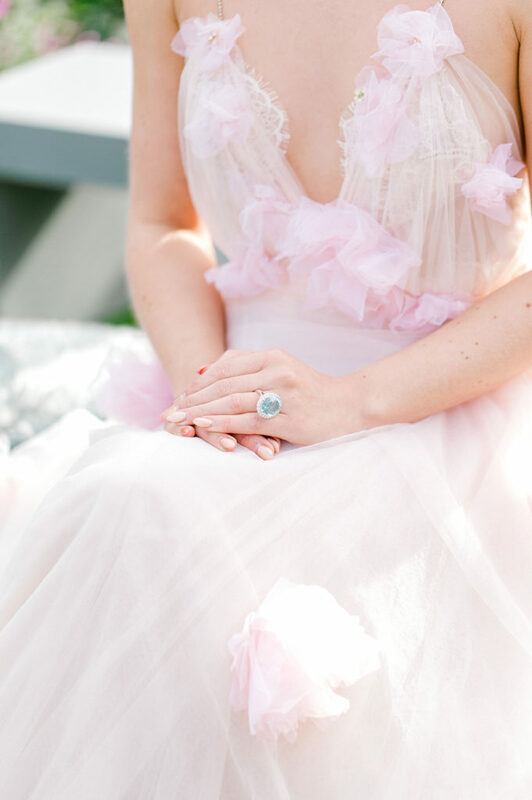 The one-of-a-kind pieces included a show-stopping oval aquamarine & diamond cocktail ring and rare ametrine & diamond pendant. 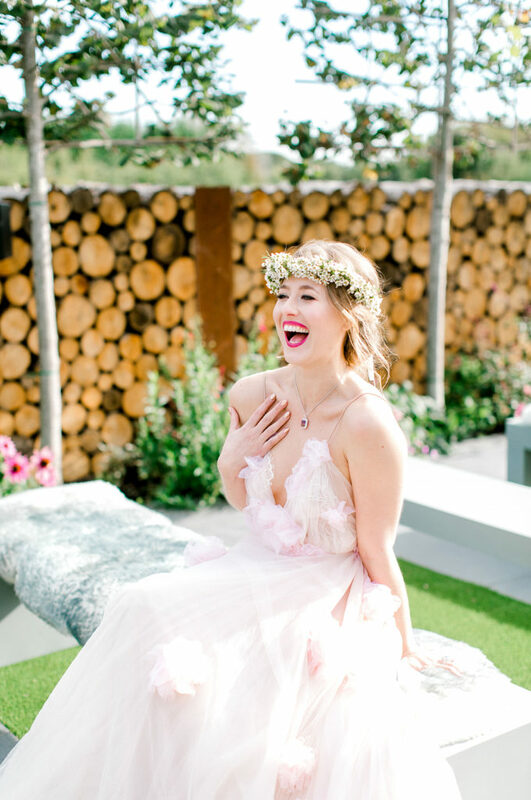 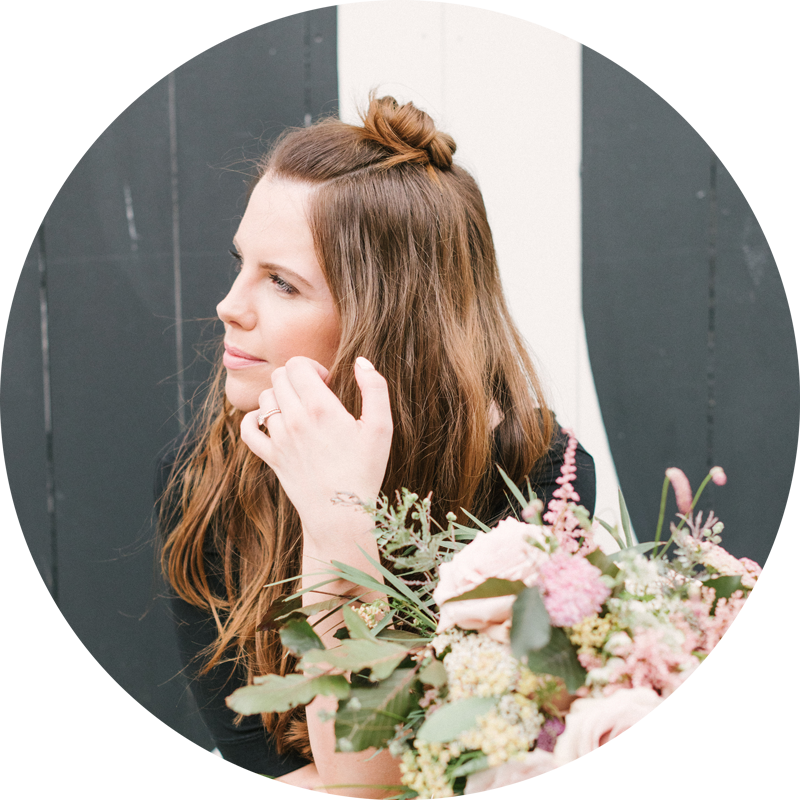 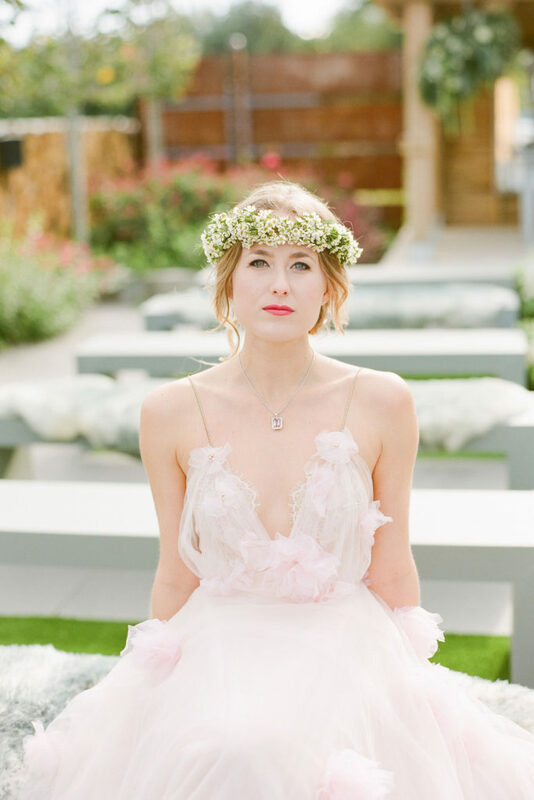 Charlotte from Polka Dot Hair & Make Up created a series of stunning styles for each bridal gown including a natural dewy look with pink flushed cheeks and lips paired with soft romantic waves to complement the gorgeous grey tones of Ruth Milliam’s creations. 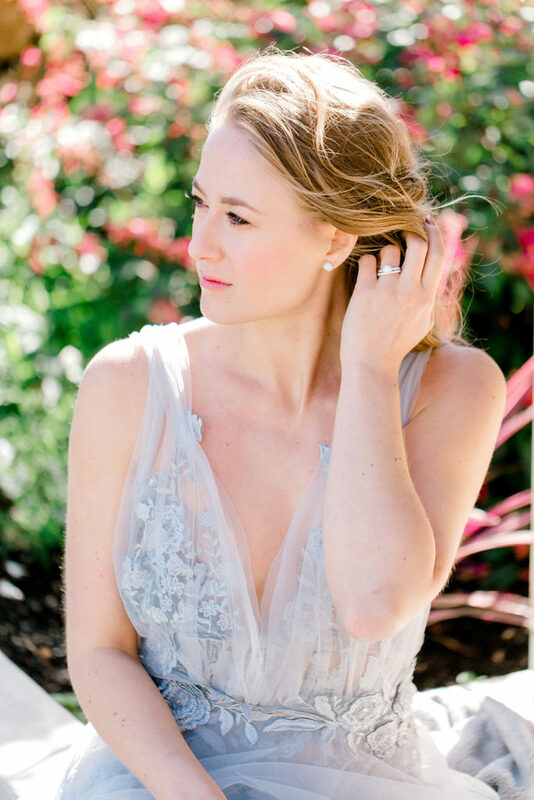 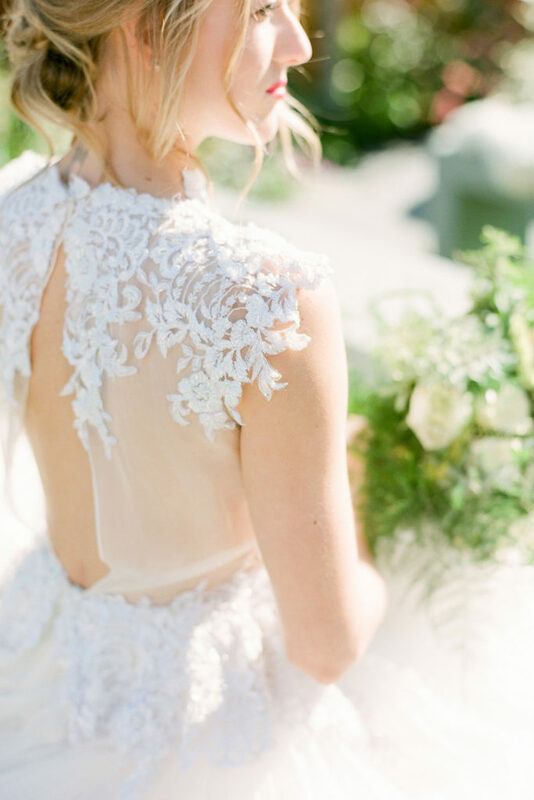 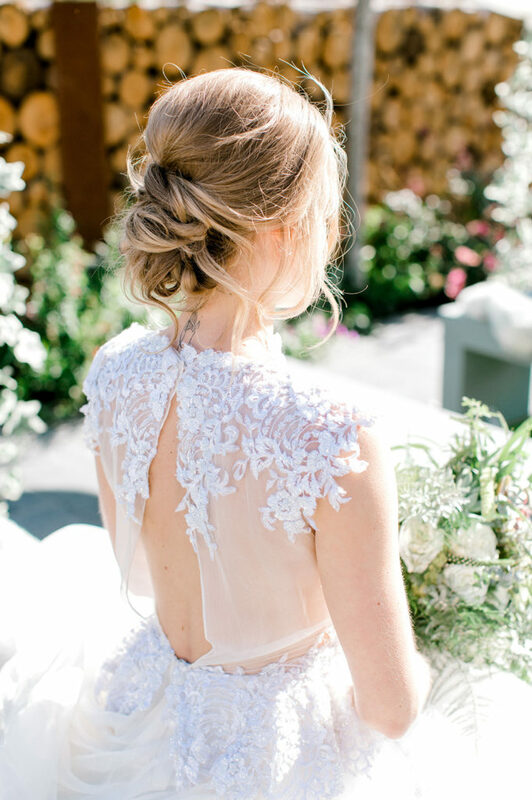 For the high neck gown with stunning beading and lace details, Charlotte created an effortless loose updo with twisted sections to create texture and shape offset with smokey eyes and a pop of color on the lips. 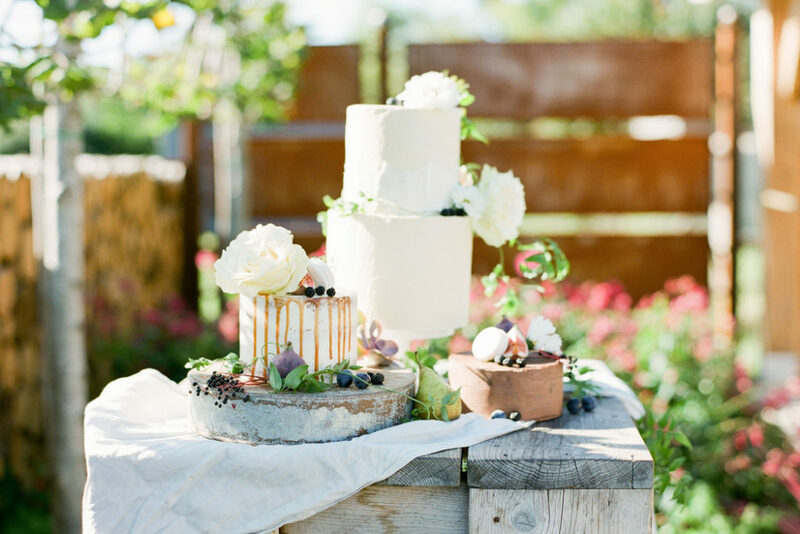 The piece de resistance to the shoot was the trio of delicious cakes created by Milk Street Kitchen. 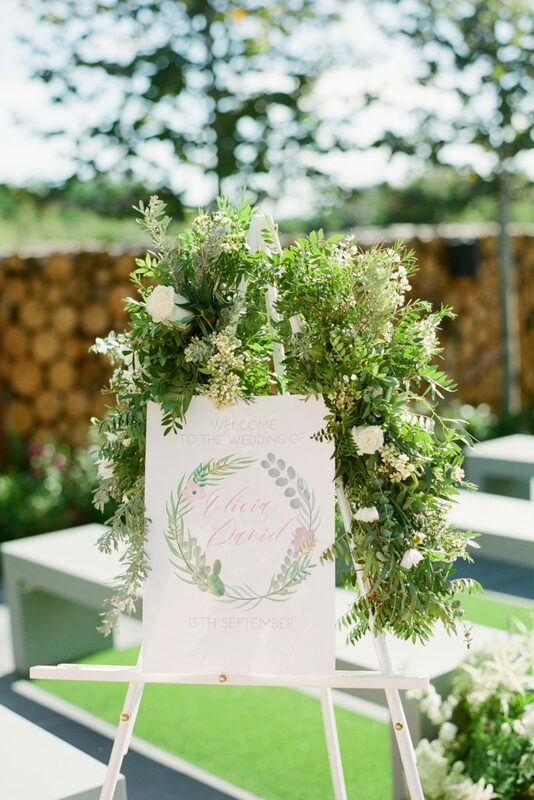 Decorated simply with fresh flowers, succulents, seasonal fruit and sea-salt caramel macarons, the display was a feast for the eyes and tastes! 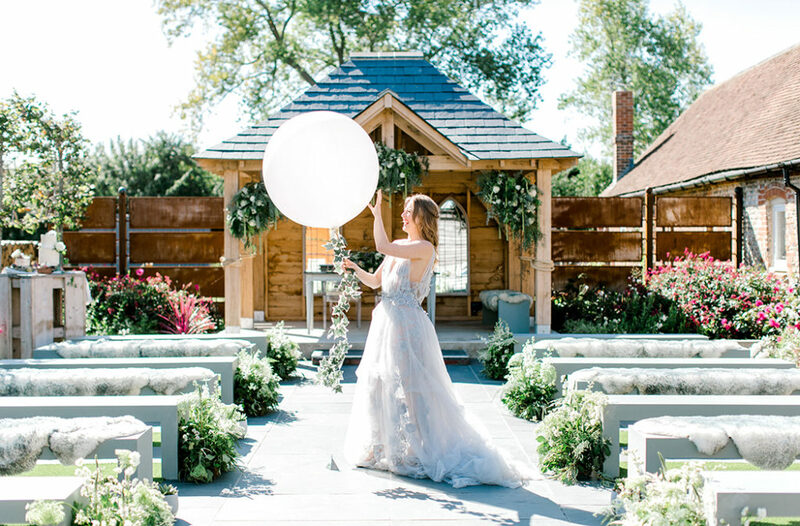 The central show stopper was a two-tier cake filled with genoise sponge, blackberry jam and caramelised white chocolate swiss meringue buttercream. 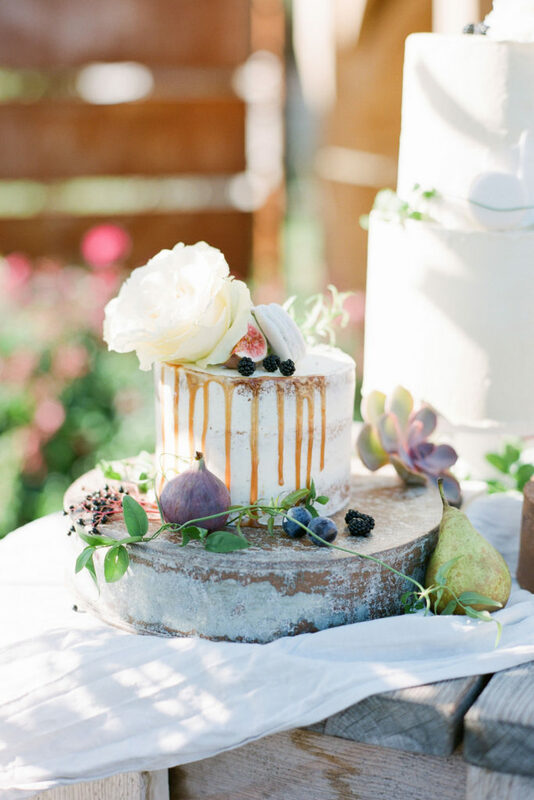 This was flanked by a semi-naked spiced apple and sea-salt caramel creation, finished with a cascading caramel drip. 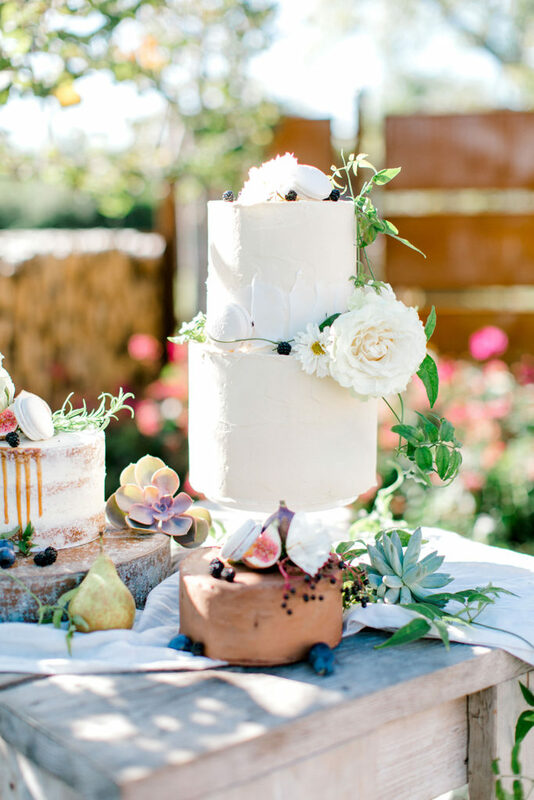 Completing the set was a single tier chocolate and honey cake dressed with decadent chocolate honey ganache. 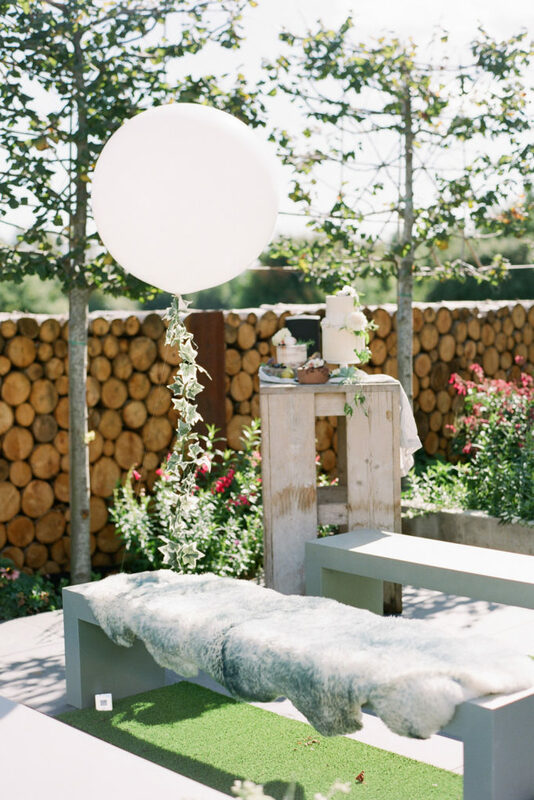 The cake table looked beautiful set against the venue’s log wall and the vibrant landscaped flowerbeds. 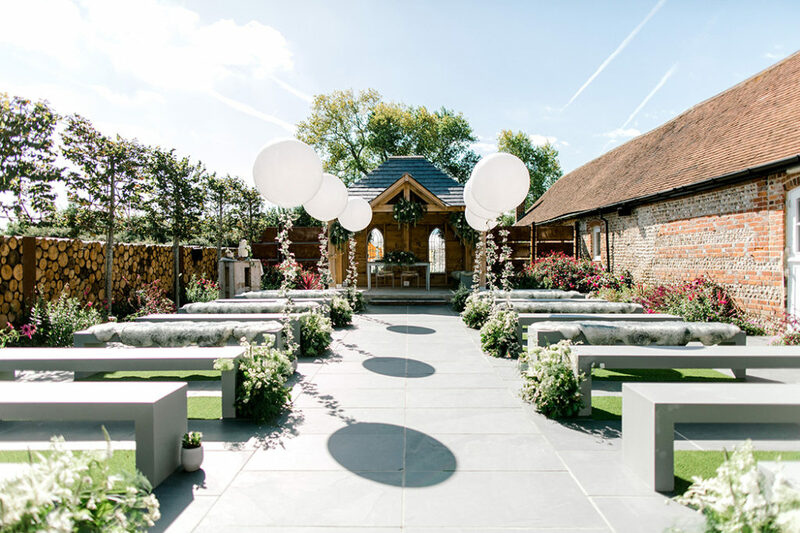 Photographer Helen Cawte captured the romantic feel of the venue perfectly using both digital and film. 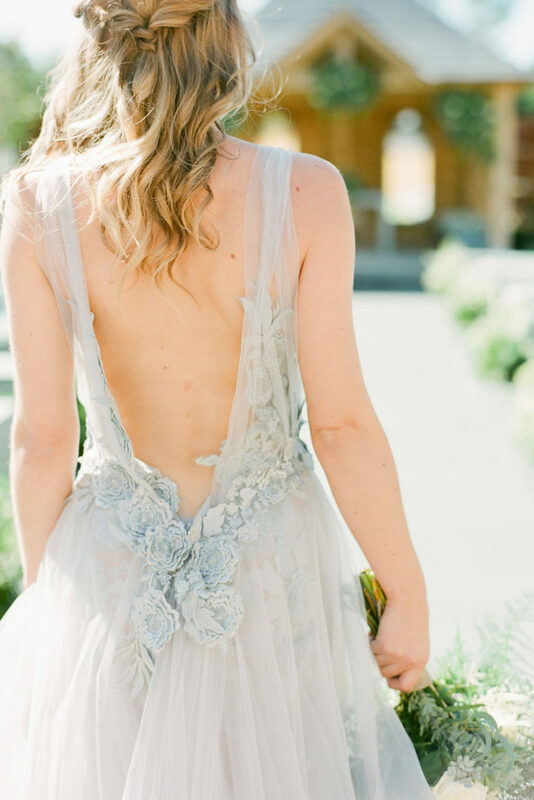 Her romantic, ethereal, fine art style photography worked beautifully with the feel of the shoot. 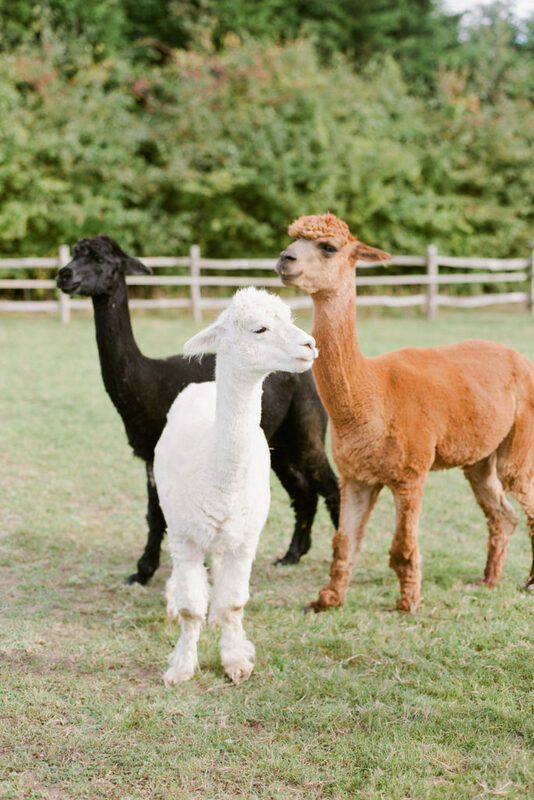 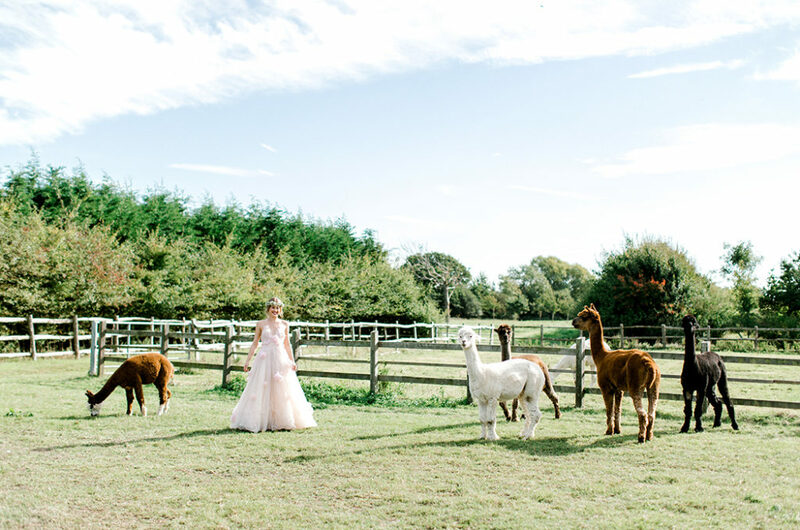 Helen also took advantage of Southend Barns’ beautiful surroundings, utilising the farm’s alpaca field which stands adjacent to the Secret Garden.